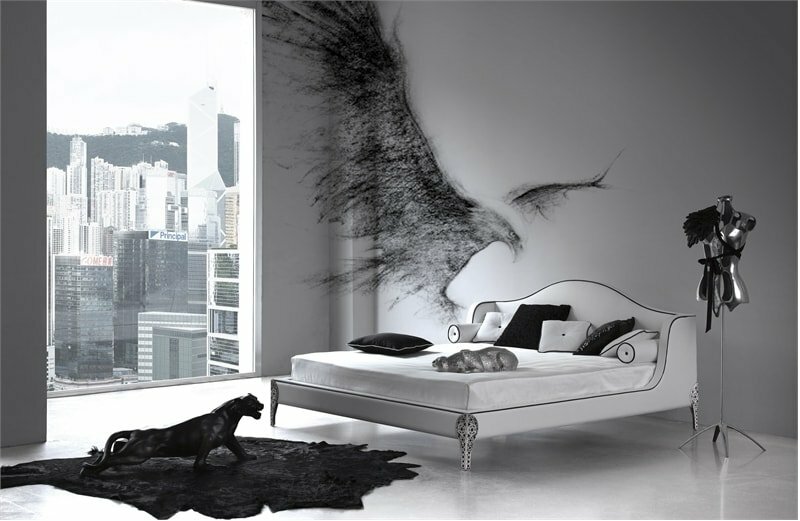 The pureness of white and the mystery of black make an incredibly perfect and majestic combination. It’s amazing how modern this combination can get while at the same time it’s also so evergreen and classic. 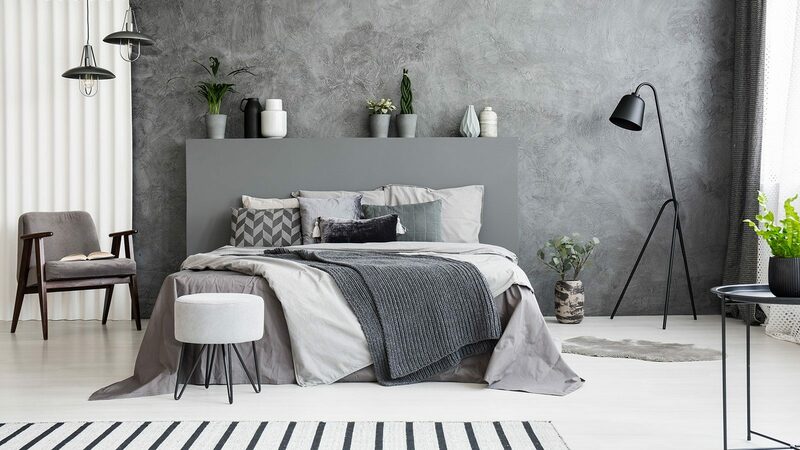 The contrast between light and dark are on top of every designer’s list and naturally interior designers are no exception. 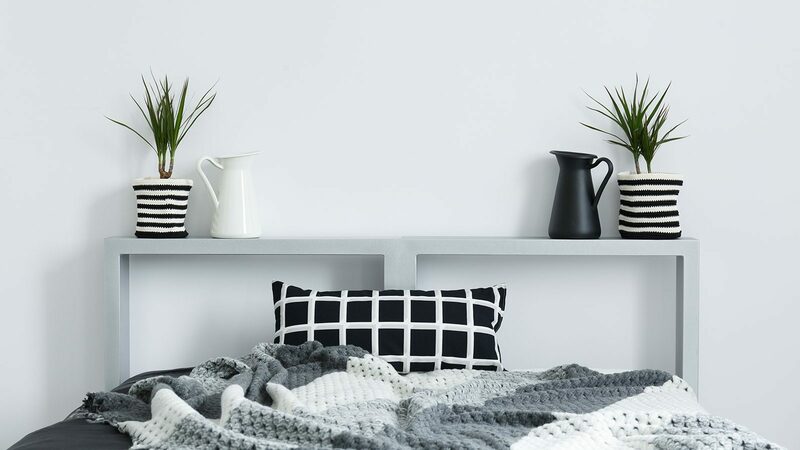 A monochrome color palette can be a striking theme for all kinds of different interior designs but especially in modern and contemporary styles. 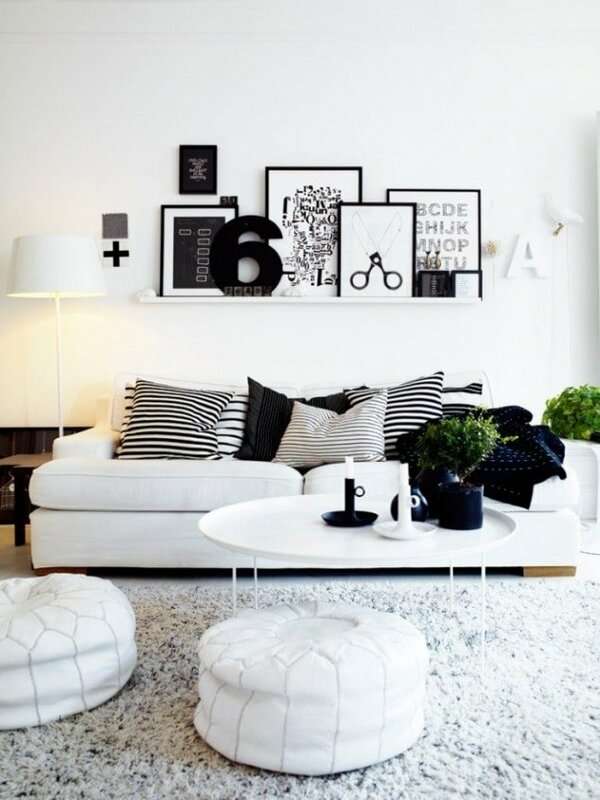 On can never go wrong with all black and white in one of your rooms or maybe even an entire house or apartment! 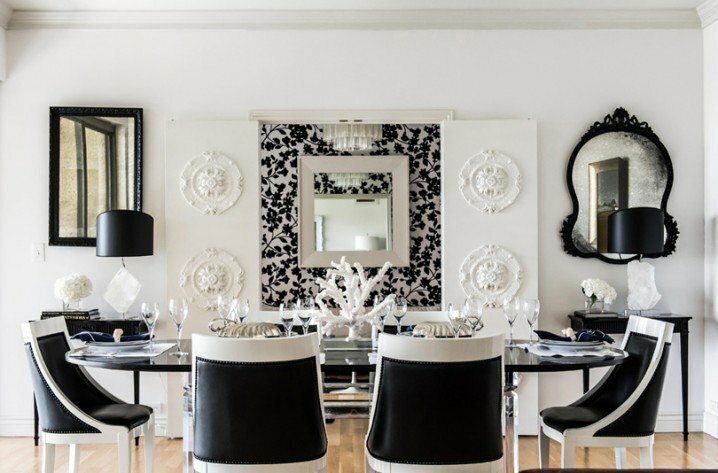 The most interesting part about a black and white design scheme is that it offers a limitless combinations with details from any other color you choose to use. Your imagination is literally the limit here. 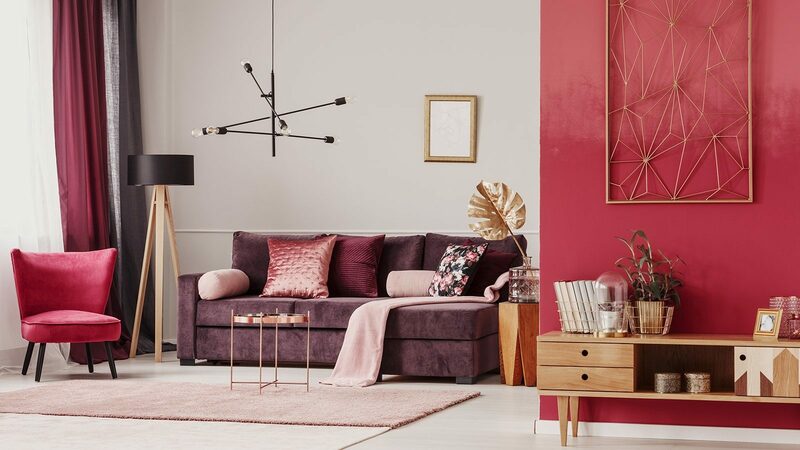 Inspired by this funky, cool, timeless and fierce combination we present you a collection of incredible modern and classic ideas for every corner of your home. Your living room, the dining room, bedroom, hall, bathroom and yes, even your children’s room! 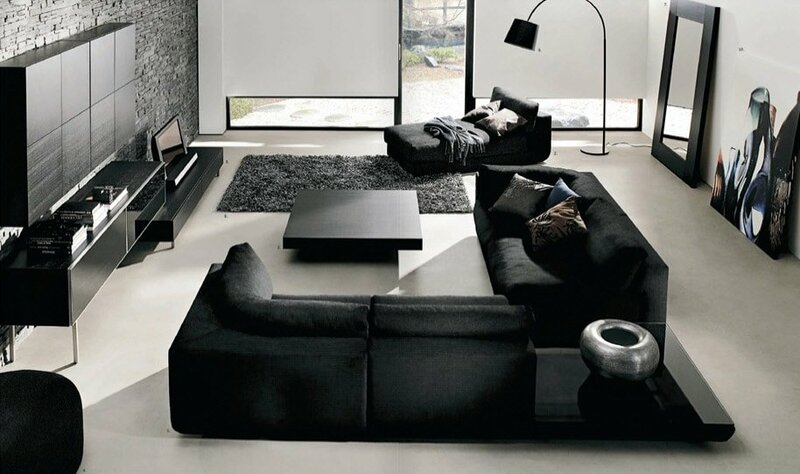 Even though black is the dominant color in this modern and minimalist living room, the room itself does not seem dark at all. 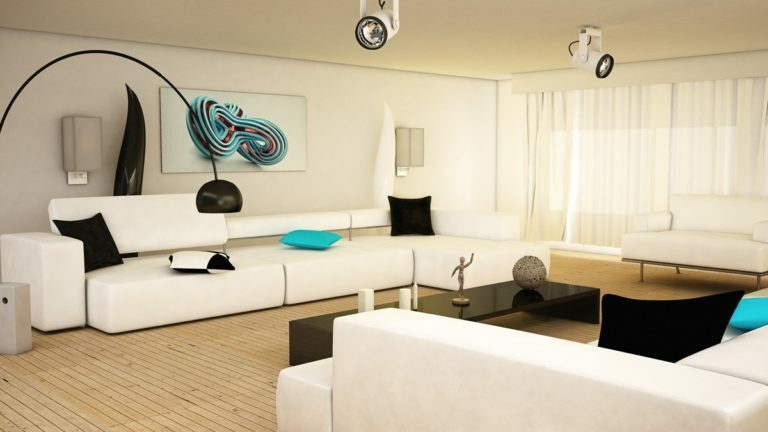 The spacious windows give the light needed to stress the elegance and the incredible design of the room elements. And the black brick wall ? Astonishing. 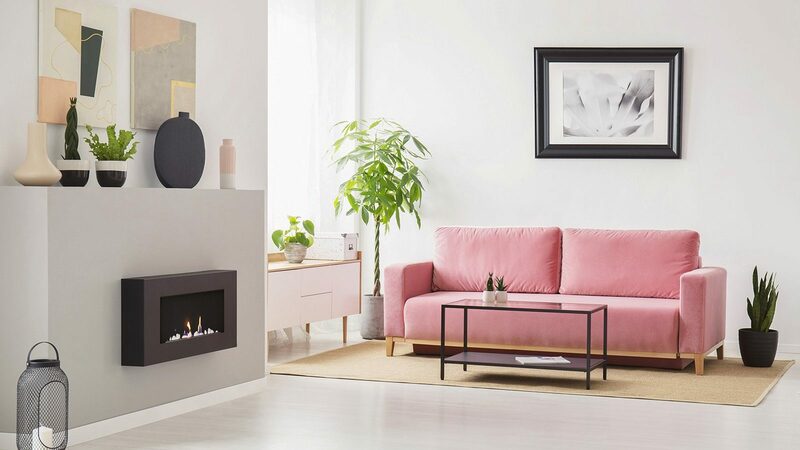 This super-cool and super-cozy living room radiates youthful spirit and a dynamic life. no other colors are really used here, and yet it isn’t boring and lifeless at all. The exact opposite in fact. This is the perfect example of how the details can make a great impression. 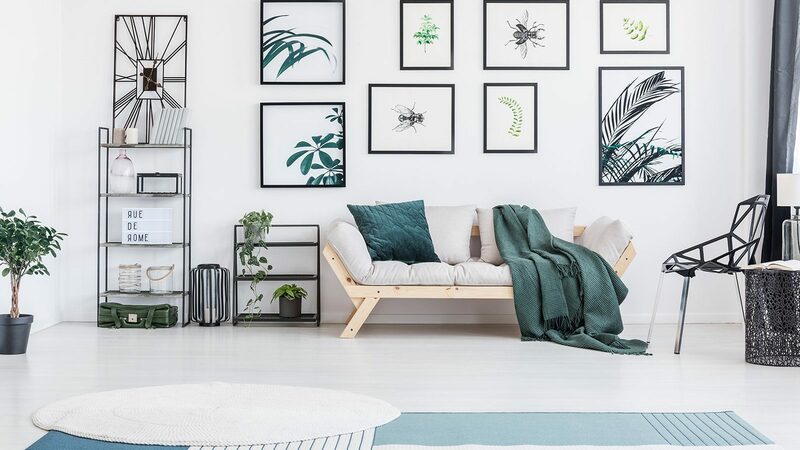 The wooden floor gives the monochrome room warmth, and the abstract blue painting on the wall and the single electric blue pillow are just the perfect pinch of color. A very interesting blend of traditional and modern. The room looks traditional, but it is very modern at the same time. 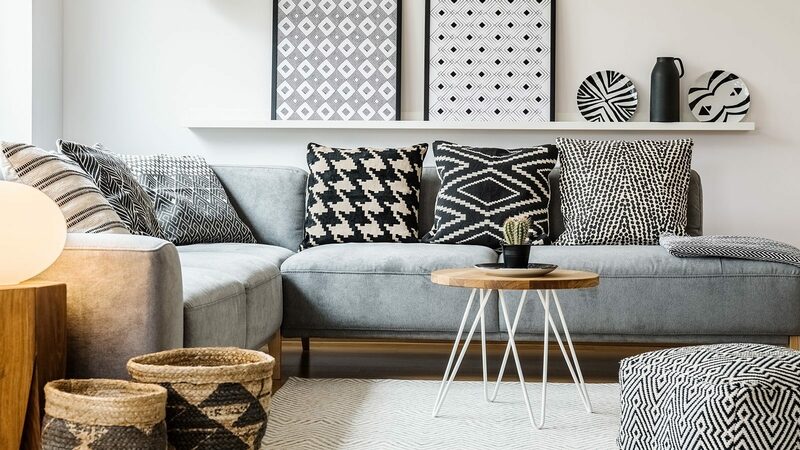 The striped rug and the pillows give a contemporary shine to this eclectic monochrome room which feels nice and delightful. 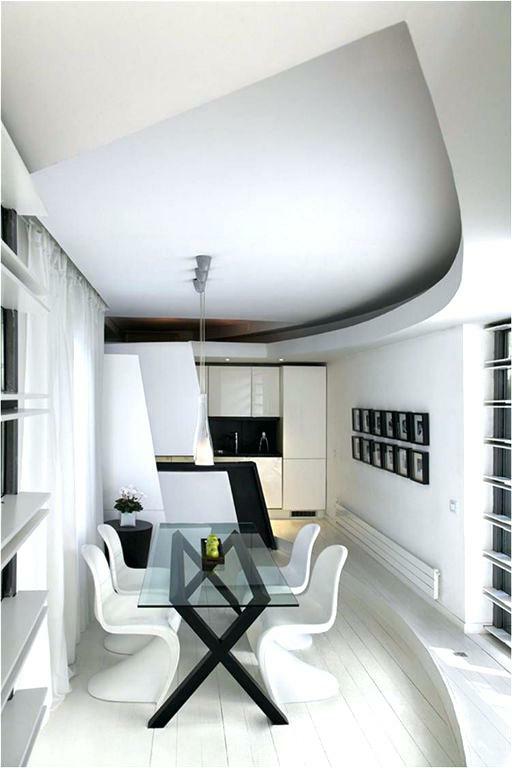 A super-modern dining room with an outstanding contemporary glass table and unique chairs. This room is the perfect example of how less can sometimes be more. This imposing dining room is elegant and simply wonderful. Even with a lot of details and patterns it still looks very clear. The chairs are a fantastic touch as well. The painting on the wall attracts your attention so at first we didn’t even notice the chandelier and beautifully patterned curtains and pillow. With a closer look we realized that this room is thought-provoking and screams elegance all with a touch of mystery and flirtation. Definitely a brilliant and captivating design. 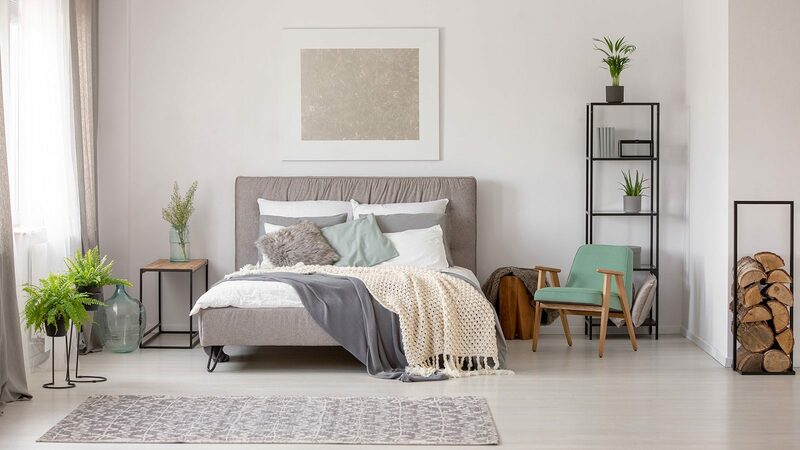 The lack of details and color in this clear minimalist bedroom is compensated by an unique and colorful rug. The lights are amazing. The view as well. Wow! This is outstanding. The vigorous mix of elegance, art, darkness and light, good and bad, is blowing our minds. 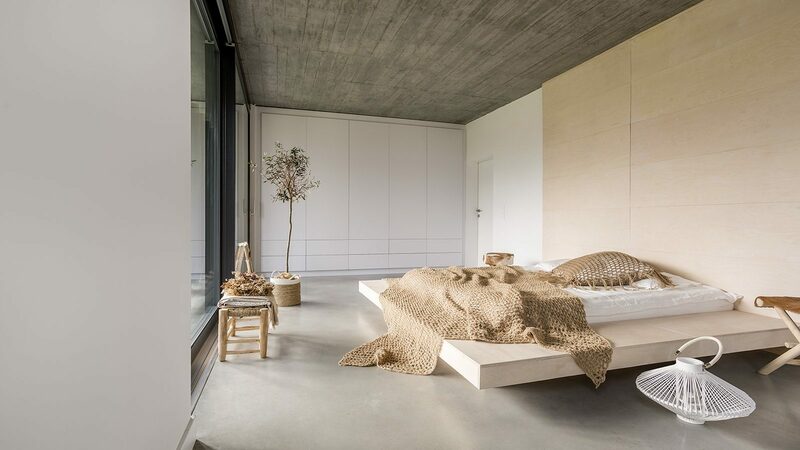 Definitely not a regular bedroom, but an exceptional one. 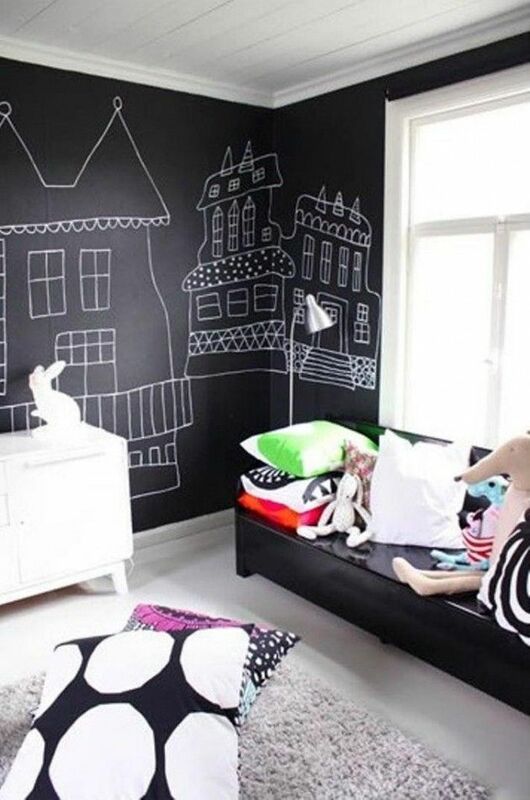 Who says children’s rooms have to be colorful? Yet another example of the monochrome vibrancy, with grey included. 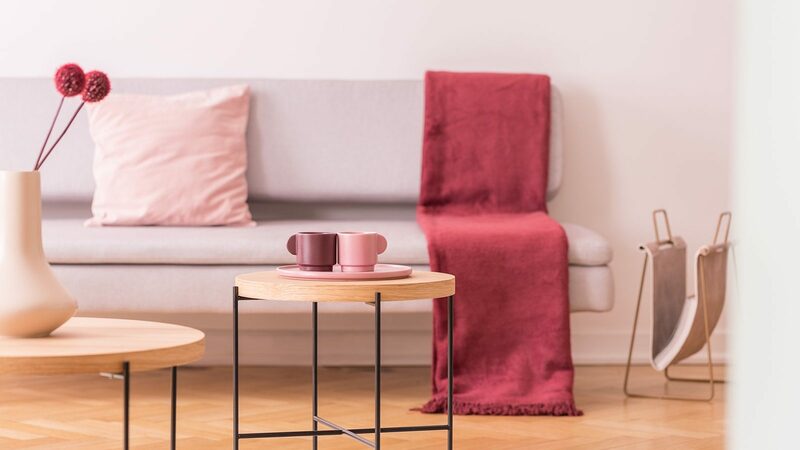 This is such a cute and cheerful room despite the monochrome palette. 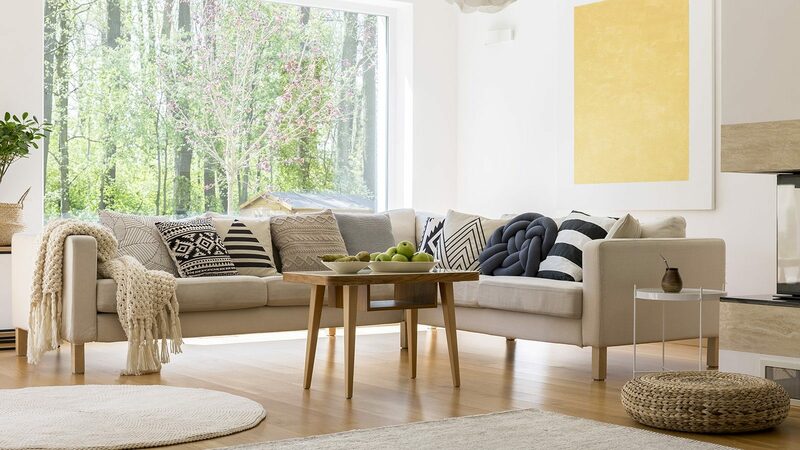 The lively pillows in strong colors give this room joy and energy. The blackboard with the children’s drawings is just adorable. Quite an interesting and lively hallway. The stripes are all over the place and it looks fantastic. 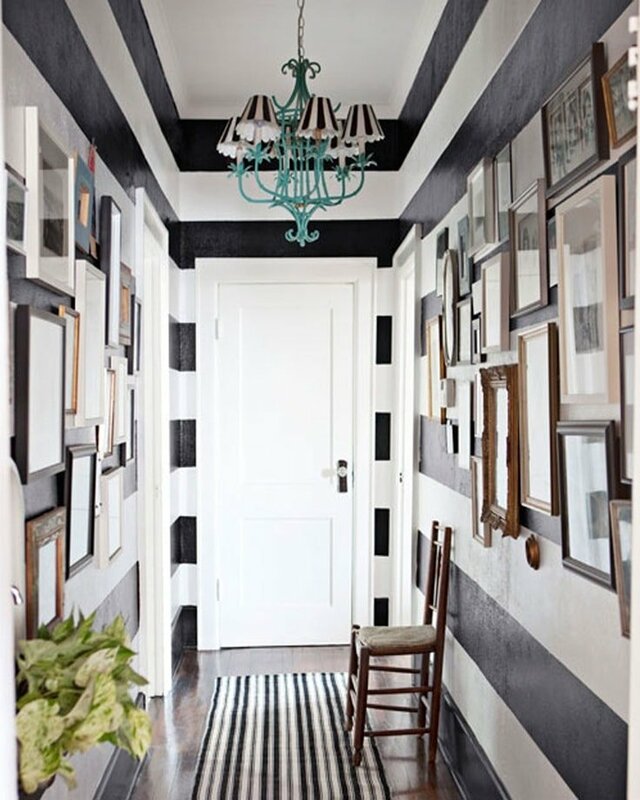 Accompanied with the (also striped) turquoise chandelier and the photographs on the wall, this hallway looks cool and funky. 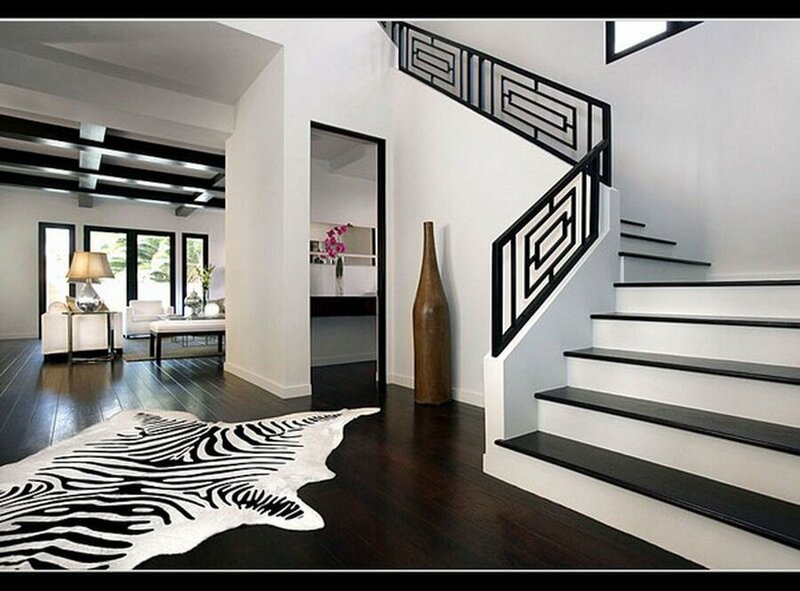 Is there a better way to decorate your home entrance than with a spectacular zebra rug? Not really. This hallway looks amazingly elegant and classy. This bathroom looks exquisite. Come on, there’s even a chandelier in it! Pure elegance and class. A simple and traditional, yet very catchy black and white bathroom. 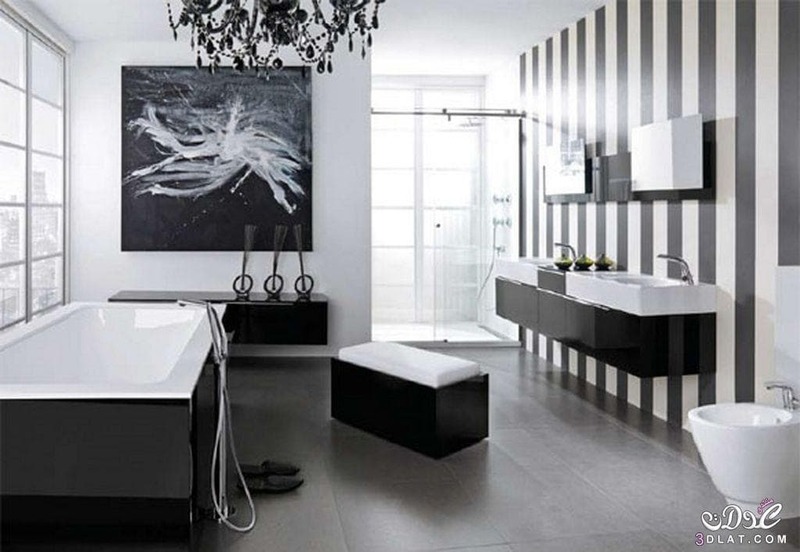 The black and white checkerboard floor is a complete jackpot in making the bathroom exceptional. I would just be careful with “High Contrasts”. They have the tendency to make your eyes blink, and give you a headache. Than you have to remember that someone must live in those. From my point of view it is way too stiff, too controlled, too staged… Things must have a reason, not just an accessory to fill a void.